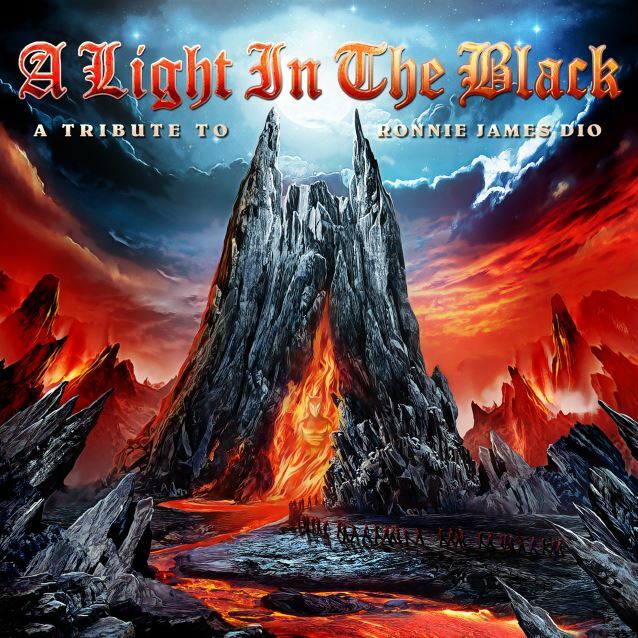 Massacre Records will release the two-CD album "A Light In The Black - A Tribute To Ronnie James Dio" on May 22. The label states in a press release: "Ronnie James Dio was a hero and inspiration to many musicians, such as Lars Ulrich (METALLICA), Doro Pesch and Axel Rudi Pell, and rumor has it that he's the main reason why every metal head worldwide is familiar with the sign of the horns. Now it's time for us to pay tribute to him as well: 12 of our bands covered Ronnie James Dio songs to honor this exceptional musician!" 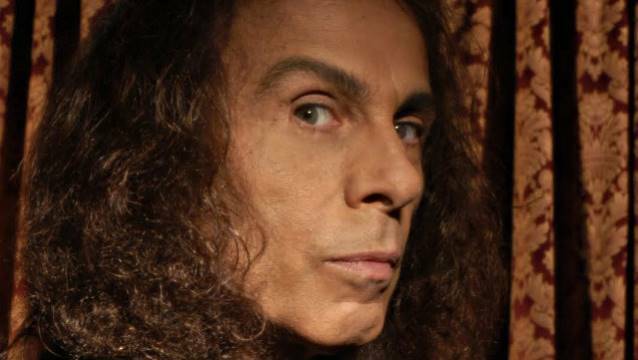 "A Light In The Black - A Tribute To Ronnie James Dio" will contain 20 songs by 12 different bands, including CRYSTAL BALL, MESSENGER, GUN BARREL, GLORYFUL, THE ORDER, METAL INQUISITOR, CIRCLE OF SILENCE, BURDEN OF GRIEF, LOVE.MIGHT.KILL, REBELLION, IRON FATE and WIZARD. CRYSTAL BALL's cover version of DIO's "Sacred Heart" — taken from "A Light In The Black - A Tribute To Ronnie James Dio" — can be streamed in the YouTube clip below. The stunning artwork for "A Light In The Black - A Tribute To Ronnie James Dio" was created by Jan Yrlund (Darkgrove.net), who is also a huge Ronnie James Dio fan himself. 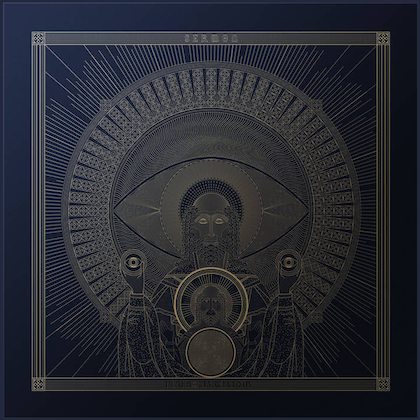 "I decided to go for an old-school type of hand-painted look, like the classic DIO covers, but I still wanted to keep it original," he explained. "You'll find many hints and details that refer to well-known DIO themes: The mountain has two peaks as if they were devil's horns, and, of course, the DIO mascot Murray is featured too, merging from the fire."